When I first started building my business, it was normal for me to always bring the spiritual with me. It's a part of who I am, who I always have been, and even who I am noted for being. Bringing the spiritual to work everyday, however, didn't mean I was trying to convert others around me to be like me. It simply means I want to be all that I'm meant to be, with my spirit wide open, and bring that into my service of others. Initially, the religious world didn't understand me and wanted to change me. So did the business world. This is when I first realized I was somewhat of an anomaly in both worlds. For me to be recognized and to succeed in both realms, I'd have to reinvent how things were done. So I did just that. It's not uncommon for me to do a live conference or webinar where I'll share my vast experience and knowledge of copywriting, direct response marketing, pay per click ads and the like. But at the end of the class I'll release a blessing over my attendees, unashamedly, reminding them that I didn't get here alone and that bringing their spiritual beliefs into their work could give them the same edge as it has for me! When I speak or preach at a church, it's not uncommon for me to use data, charts and graphs, showing percentages that reveal why the church is missing the mark by gathering in their local buildings and ignoring, or worse yet judging, the world we live in. Bringing in my business acumen I'll also show them why they can't keep running their organizations as they are with underpaid, under qualified staff. Both of my worlds mesh very well for me. But it took quite a "move of God" if you will, to get people to see it from my perspective. Social media opened the gates. In social media the voice of every person in the world is important and should be heard. Facebook then Twitter and InstaGram gave everyone a voice! We can now connect with nearly anyone we want to. The former untouchables who were protected by security and gate keepers became readily available to engage with us. And the gate to the spiritual in our world was opened in a big way! We're now going beyond just a "tolerant" world into one where everyone is valued, and should be celebrated. All faiths of the world have this in common: we believe a human life is valued and should be respected. Bringing us together as one global nation where we can interact with someone by the written word, video, audio and screen sharing has changed us I believe for the good. Social media brings people together. Community is at the heart of every social media platform. Rather than building distance around our differences this social world is bridging us together. Everyone gets a fair shot, every voice is important. As Mark Zuckerberg said in a recent post on his Facebook page, "Connecting the world is one of the fundamental challenges of our time." 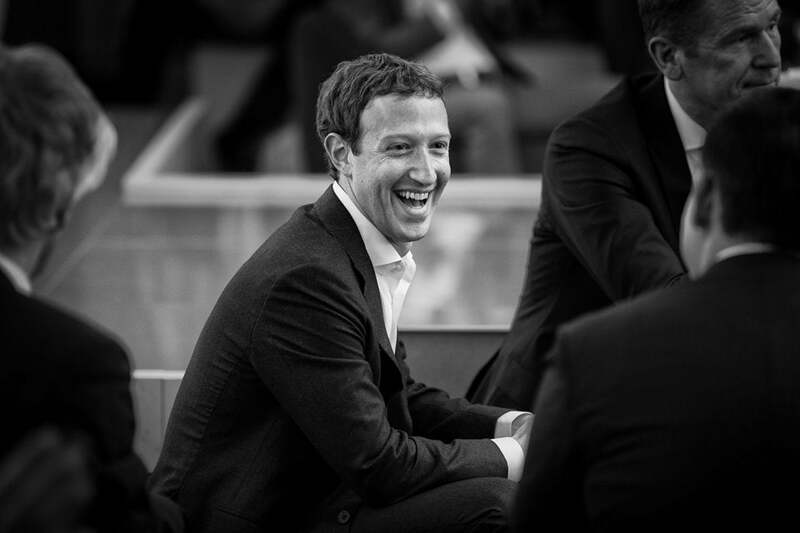 Zuckerberg has brought us in on his travels, into his home with his new baby and, most importantly, into his mission of wanting to connect the whole world through internet.org and Facebook. Social media connects people through inspirational stories. We're designed to be a connected world, and at the core of this connection is our spirit. It's time we allow everyone to open their spirit wide at work so we all might benefit. Click on this link: http://mashable.com/2016/03/23/drive-thru-prayer/ to read a recent example of how a workplace came together over spirituality. It took place at a coffee shop, with employees praying with a grieving woman who had lost her husband. It demonstrates the extent to which kindness and touching someone's spirit makes all the difference. Years ago, we would never hear about such a story. Today it's viral on Mashable, Facebook and Twitter. The spiritual is wide open to us. Our spirits crave it. We're all connected. Because of social media this generation is experiencing a brave new world and I believe it's one we have all longed for!